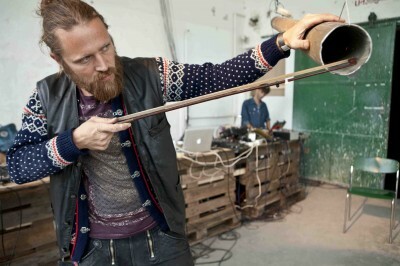 I am pleased to finally announce that I will be the co-curator of the next LAK Festival for Nordic Sound Art in Copenhagen, over the weekend of 26-29 September 2013. My main contribution to the festival program is a series of workshops around the theme of the “Fifth Wall”. If the well-known “fourth wall” refers to the boundary between the artist and their audience, often “broken” through techniques of meta-narrative in theater and film, the term “fifth wall” could describe the boundaries between the audience members themselves during a shared artistic experience. The Fifth Wall Workshops series for the LAK Festival 2013 concerns itself with how this boundary can be broken within the traditional festival format of performance, installation and lecture, and in a world where almost everyone has become a digital art producer. These workshops emphasize participatory situations which transform festival visitors from passive receivers to active creators of sound art. Eventually, both “artist” and “wall” dissolve away, leaving the responsibility of presenting the workshop results with the participants themselves. This entry was posted	on Tuesday, May 28th, 2013 at 16:18	and is filed under Announcement. You can follow any responses to this entry through the RSS 2.0 feed. Both comments and pings are currently closed. Powered by WordPress v 5.0.2. Page in 0.427 seconds.